So remember this classic dish I made…..
Well, as tasty as this was I decided to remix it! 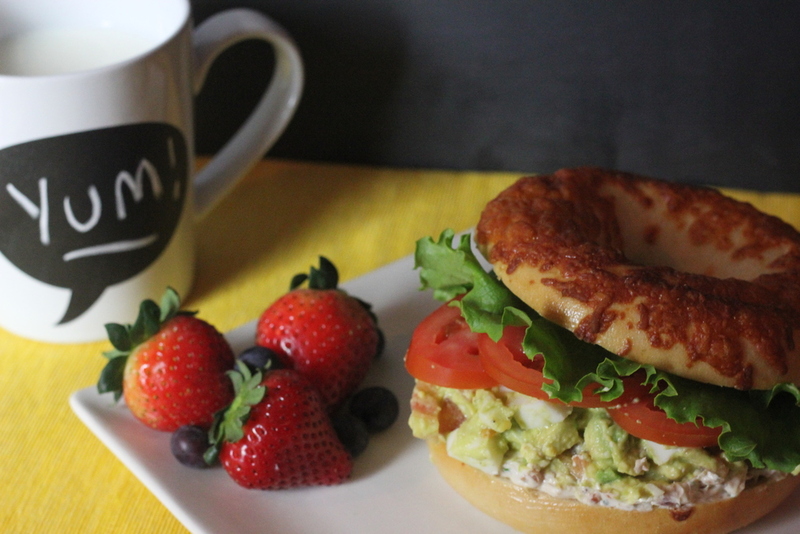 & what goes better with cream cheese, than a bagel! …It may look strange…but believe me this one is tasty! 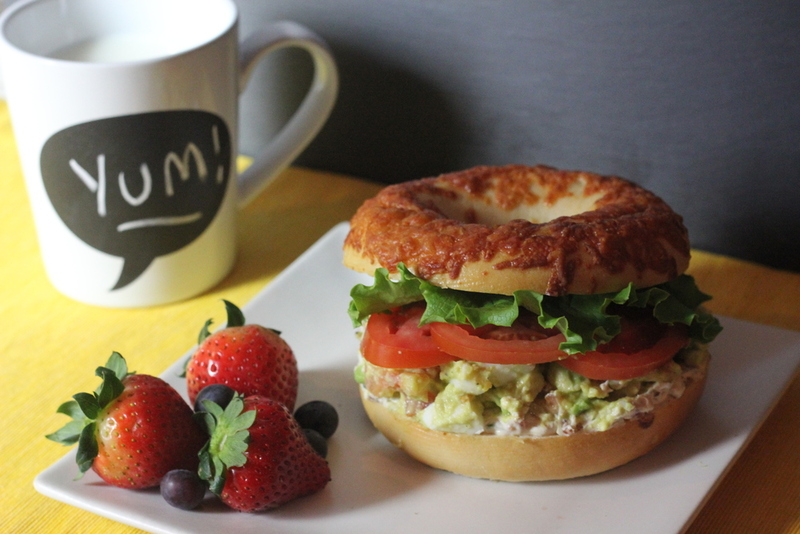 I love it because instead of using mayo in an egg salad I used avocado! GENIUS! Crisp up bacon strips! Let cool & pat off excess oil. Mince up crispy bacon strips & put in a bowl. Slice up green onions or chives & add to bowl. Combine bacon, chives, cream cheese, salt, pepper, & garlic powder. Dice up tomatoes, avocado, eggs & combine together with salt, pepper, & garlic powder! Done! Add some lemon juice to help lesson oxidation of avocados OR** what I learned in culinary school is by adding the seed back into the avocado dish it helps lesson the oxidation. 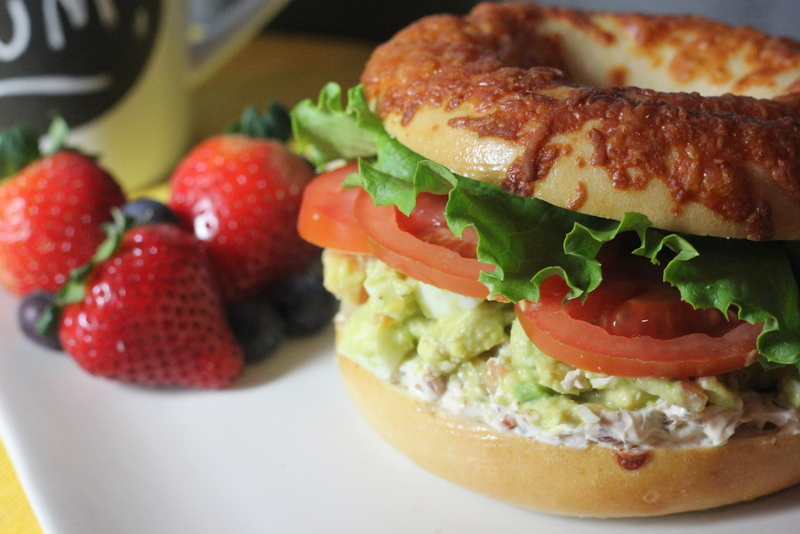 Any bagel will suffice. I choose a Parmesan cheese bagel! mmmMmmm. An easy & tasty remix! Go subscribe to Miss Semi Sweet on Youtube! My remixed version of that classic "FROSTED RIBBON LOAF" recipe I tried out a few months ago!